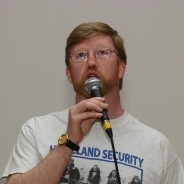 As a social justice activist and professor of peace-building, Dr. Ó hAdhmaill is critical about double standards in categorization of activists as “freedom fighter” or “terrorists” to suit political purposes. He asserts that one of the difficulties about peace-building is that ‘peace’ itself is very political and that different narratives exist about what ‘peace’ is or should look like. He maintains that different narratives often exist of the same conflict and different views exist of what should constitute ‘peace’. He notes that the politics of ‘peace’ deserves wider debate and discussion. “CC Research Profiles: Dr. Feilim O’Hadhmaill, Applied Social Studies,” accessed December 22, 2013, http://research.ucc.ie/profiles/A012/fohadhmaill. D. MacIntyre, Conversations: Snapshots of Modern Irish Life (Gill & MacMillan, Limited, 2005), http://books.google.ca/books?id=w-1xQgAACAAJ. Jim Andrews, “Imprisoned Lecturer Appeals for ‘Democract We Can Call Our Own,’” Andersonstown News (November 12, 1994). “Feilim O’hAdhmaill’s Page – Peace and Collaborative Development Network,” accessed December 22, 2013, http://www.internationalpeaceandconflict.org/profile/FeilimOhAdhmaill#.UrZXa7SOeJI. Dr. Ó hAdhmaill’s call for both sides of a conflict to work together is a powerful message in today’s conflicts. In his comments on the international peace and conflict website mentioned above, he mentions that the story and narrative we have of war and peace tends to be that of the victor. Without both sides being involved in that narrative, violence and war are likely to be rekindled. As Dr. Ó hAdhmaill said, even peace itself has different meanings and interpretations. All groups involved in a conflict must work together to create a definition and state of peace that works for all groups. Otherwise, that one-sided peace will not last. Neither war nor peace are black and white.